A thematic map the underground water basins in the Jemez y Sangre Water Planning Region. 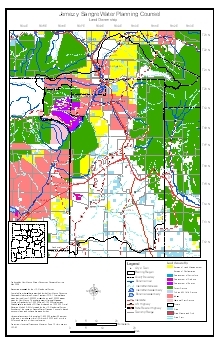 A thematic map showing the uses of land in the Jemez y Sangre Water Planning area. 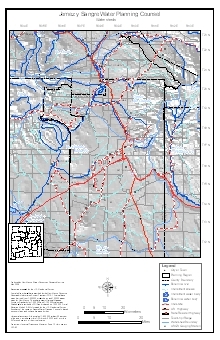 This includes categories such as residential, industrial, commercial, agriculture, and so forth. 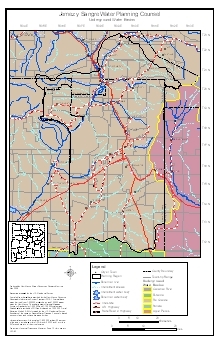 A thematic map showing the ownership of major areas in the Jemez y Sangre Water Planning area. 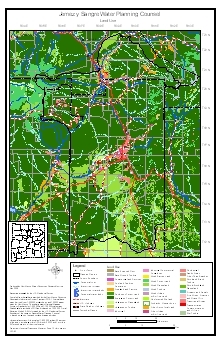 This includes divisions such as private land and government held land (the forest service, military bases, Indian reservations, Bureau of Land Management land, and so forth).